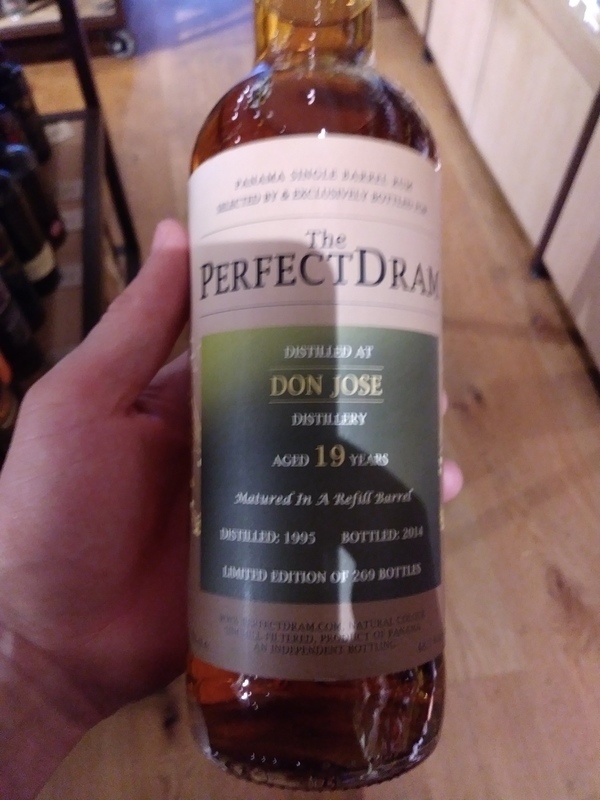 Have you found an online vendor selling The Perfect Dram Don Jose 19-Year? Enjoyed a bottle of The Perfect Dram 19y Rum while in London. Very nice and high end bottle and label design. Very expensive for what it really is. Collector bottle number 269. Dark golden color. Surprisingly dry rum and definitely a burn at the end. Not the best rum from Panama, but definitely high enough ranking to get noticed.